Pro version till February 2006 20% off for Outback Photo readers. Once in a while we come across a new plugin that solves a common problem in a new (at least new to us), easy and more powerful way. 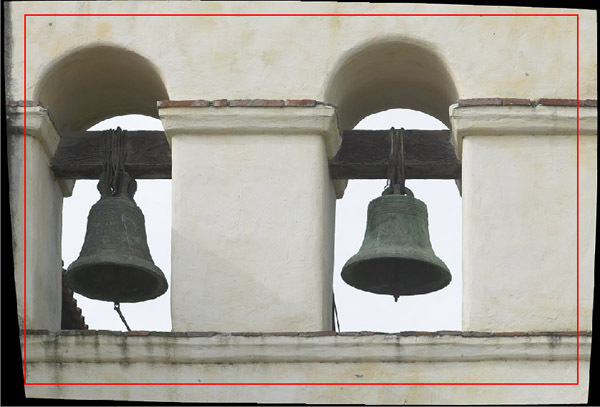 When we work with the CS2 Lens Correction filter and other specialized perspective correction filters we realize some distortion artifacts but never took the time to check into the "why?" (sorry but life is too short :-) ). 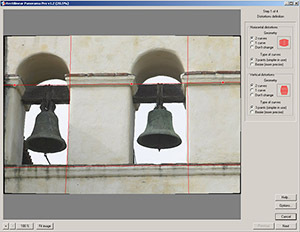 Altostorm Rectilinear Panorama (ARP) is a new way to solve all kinds of lens distortions. This tool actually is aware of all the issues and solves quite a few of them. 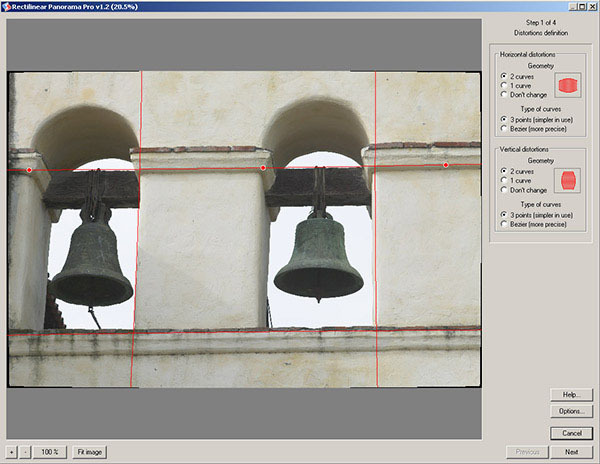 As the name of the plugin indicates this tool is thought to even correct the very strong distortions you get from panoramic images. Lets have a look at a sample session and see how this tool works. The typical lens distortions were already removed using PTLens but it could also been done with ARP. We used PTLens because in the image it is hard to see what is a lens distortion and what are crooked lines from the real object (and our images have often this issue because we love old buildings). Here is the first screen of ARP. ARP is capable to display a full screen sized preview which is a must for serious work (some operations get slower though, but very reasonable). 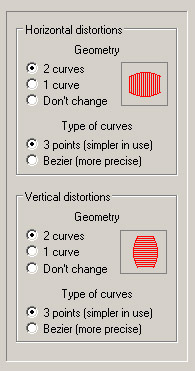 You then define the curves for horizontal (top, bottom) and vertical (left, right). 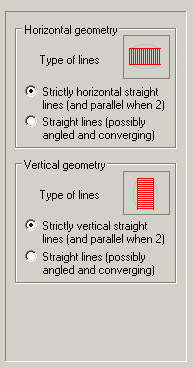 Normally you follow lines that should be straight (horizontal or vertical) in the final image. In most cases you want to use the first options (we did not actually use the second ones). Read more on their web page. At step 3 the plugin renders a preview. If you don't like the result you can actually go back to step #1 without leaving the plugin. 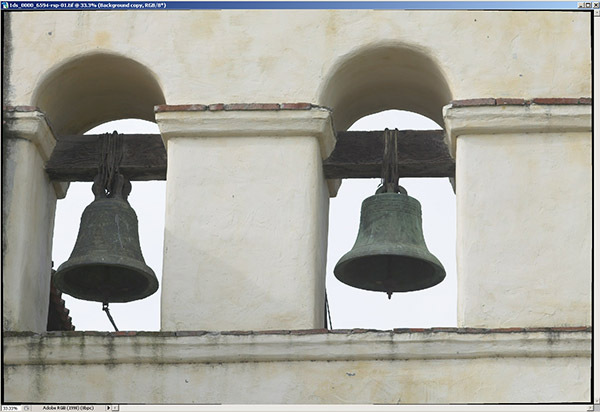 I never have seen panoramic tools that had these 3 controls. You all have probably seen that you easily can create corrected images that are too wide or to high. The "Ratio of dimensions" control let you fix this. 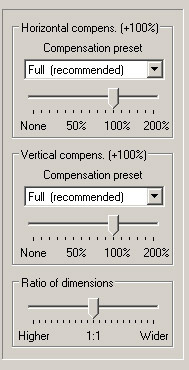 The other two compensation settings are more complex (best you read the samples on Altostorm's web site). It can happen that elements from the foreground get larger rendered than same sized objects that are further away from the camera. 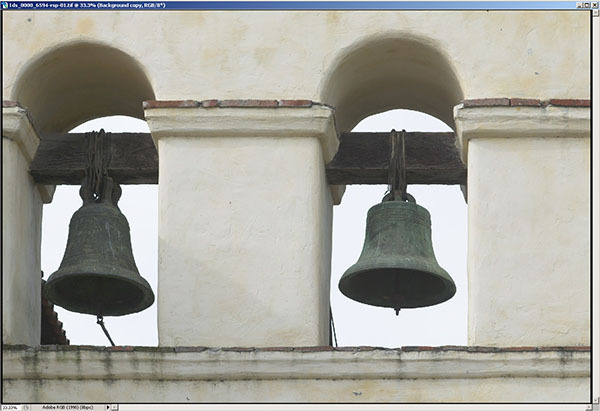 On the corrected image both objects should get the same size. Here you can use the compensation sliders to correct this behavior. Very powerful indeed. 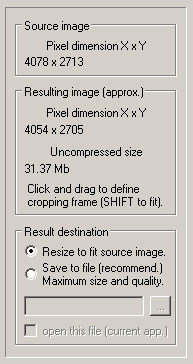 In step 4 you can define a crop. Then either save to the current layer or to a new file. The Pro version supports full 16bit. The Pro version costs $179 and cannot be called cheap. But we have to keep in mind that these are very specialized tools which are sold in low volume. Overall this is an amazing and easy to use tool. ARP is now clearly our perspective correction tool of choice. A way to make the curve a straight line because in images like our sample there are no real straight lines and this means we may define distortions that do not exist. With straight lines we can just define the perspective fast. Note: We not only review tools but also work with many manufacturers to improve these tools. Most of them listen and respond to our feedback. For every page we write we spend many hours to work with real world images. Buy our books/filters to support our work. You benefit directly and indirectly in more ways than you may think.